IfCG commends the continued blossoming of Ethiopia-UK relations, and it seems to it singularly appropriate to apprise the UK government of a patriotic pandemic fervour which has now engulfed Ethiopia�s seizable community in the UK. IfCG commends the Government of Ethiopia�s (GoE) unwavering commitment to the Nile Basin Initiative and to the Nile Cooperative Agreement. IfCG�s special commendation also goes to the late prime minister of Ethiopia, Meles Zenawi - one of the architects of Ethiopia�s transformation to pluralistic democracy and economic growth � for discovering a win-win formula, and for setting up tripartite talks between Ethiopia, Sudan and Egypt which, in turn, gave birth to an International Committee of Experts (ICE). IfCG believes Egypt�s shilly-shallying and ambivalent stands on peacefully resolving its concerns with Ethiopia are crucial to unravelling the unsavoury, not to say wayward behaviour, of Egyptian politicians. 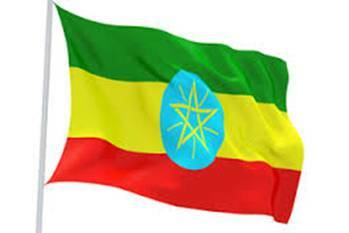 Notwithstanding Cairo�s spin doctoring when it declares: �the way forward with Ethiopia is through cooperation and not confrontation,� one must not lose sight of the fact that Cairo�s reaction has so far included an unwarranted display of vuvuzela politics against Ethiopia, turning into a sabre rattling mode, unleashing a diplomatic blitzkrieg against Ethiopia by dispatching Egyptian diplomats to EU states with intent to lobby them to arm-lock Ethiopia into abandoning GERD as well as nudge disgruntled Ethiopians from within and without to destabilise Ethiopia. IfCG would, therefore, be most grateful if HMG would turn a blind eye and deaf ear to what for all intents and purposes has now become Cairo�s Mickey Mouse politics against Addis Ababa.